"Fox News must clearly state that Jeanine Pirro will not be allowed back on the air after her long history of Islamophobic hate rhetoric and the network must also take similar action against other Islamophobic hosts like Tucker Carlson," CAIR Director Nihad Awad said in a statement issued Monday. 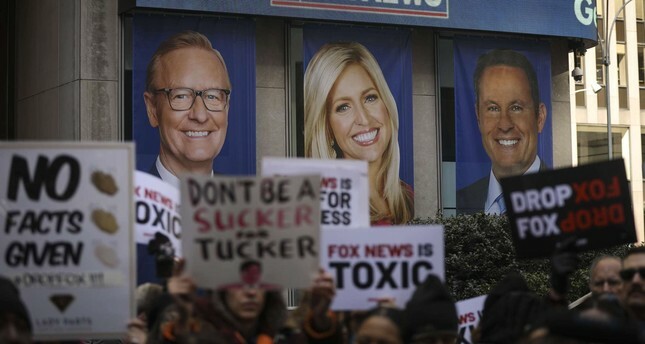 "All existing advertisers should drop their ads on Fox News to ensure that they are not associated with the promotion of hate," Awad added. CAIR called for Pirro's firing after she criticized U.S. Congresswoman Ilhan Omar for her choice to wear the Muslim headscarf, or hijab. Pirro called Omar's decision "antithetical to the Constitution". Fox News has "strongly" condemned Pirro's remarks but has yet to take known punitive actions against the Saturday night television show host. At least four advertisers have pulled out of Pirro's show, including Botox-maker Allergan, online marketplace Letgo, personal finance firm NerdWallet and pharmaceutical company Novo Nordisk, according to the Hollywood Reporter. In one tape, Carlson calls Iraqis "semiliterate primitive monkeys" and says they should "just shut the [expletive] up and obey".